On Tuesday, the Blue Dog Coalition, a group of allegedly “fiscally responsible” House Democrats announced its new leadership team as their party is poised to retake the gavel in the 116th Congress. The Blue Dogs claim they embrace a “bipartisan approach” to legislating and are looking to play a major role in brokering compromise positions on legislation with a Republican-held Senate and President Trump. “In this new era of divided government, we Democrats must introduce bold ideas and fight for our shared values, and we must also seek bipartisan cooperation that keeps our government functioning and improves the lives of our constituents; the alternative is a partisan stalemate that brings our country to a halt,” said Florida Representative Stephanie Murphy, the Blue Dogs’ incoming Co-Chair for Administration reported the staff writers at online news site The Well. The reality is that the Blue Dogs are, when push comes to shove, anything but “bipartisan” as their voting records show. Rep. Murphy, who represents Florida’s Seventh Congressional District, has a lifetime rating of 6 percent from Heritage Action for America. The House Democrats’ average is 8 percent, meaning Rep. Murphy is even more liberal than the average Democrat. The Blue Dogs’ Co-Chair for Policy, Representative Tom O’Halleran of Arizona, said “… we are ready to be the voice of commonsense and thoughtful leadership the American people want.” Rep. O’Halleran, who represents Arizona’s First Congressional District has a 4 percent rating from Heritage Action for America, meaning he too is more liberal than the average House Democrat rating of 8 percent. Representative Lou Correa, the Coalition’s incoming Co-Chair for Communications, who represents California’s House District 46 said, “As a leader in the Blue Dog Coalition, I will put working-class families first, and ensure hardworking families get what they deserve.” Rep. Correa has a 7 percent rating from Heritage Action for America, meaning he, too, is more liberal than the average House Democrat. It is also worth noting that none of the Blue Dogs voted for the 2017 tax cut that spurred much of the past year’s economic growth and none of the group’s leaders are pro-life, although three of the group’s members, Rep. Dan Lipinski of Illinois, Rep. Colin Peterson of Minnesota and Rep. Henry Cuellar of Texas are the only Democrats who have been known to vote for pro-life legislation. As CHQ Chairman Richard A. Viguerie observed in his book TAKEOVER, Democrats have purged conservatives from their party. At the national level there are no conservative Democrats, but there is a small group of smart politicians, like West Virginia Democrat Joe Manchin, who talk like moderates or conservatives on some issues. 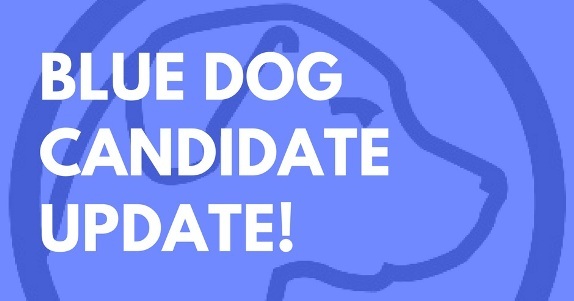 Blue Dogs do not deviate from that worldview and their real purpose is not to force Democrats to abandon secular liberalism, but to act as the recruiters or handlers of weak Republicans who can be wooed to support liberal policies through claims of bipartisanship or stymie President Trump in acts of virtue signaling. Submitted by dJ7hsE274U on Fri, 11/30/2018 - 21:50. There has not been anything but radical socialist democrats since before Obozo sat in the White House illegally. We should be headed toward Civil War II, the one that will abolish socialism from America once and for all.